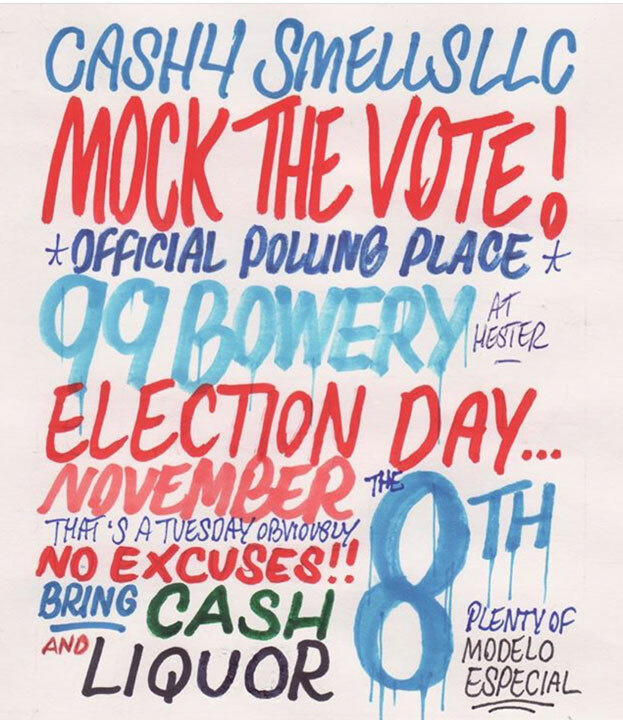 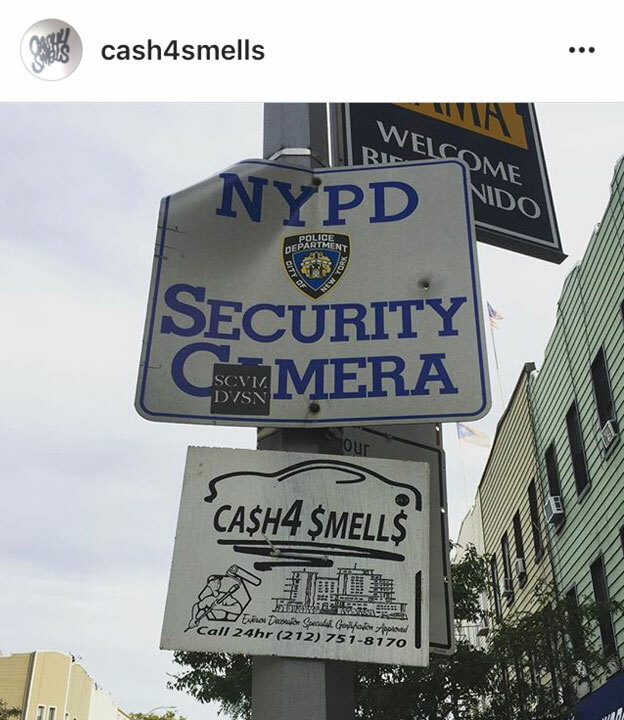 CASH4SMELLS – MOCK THE VOTE !! 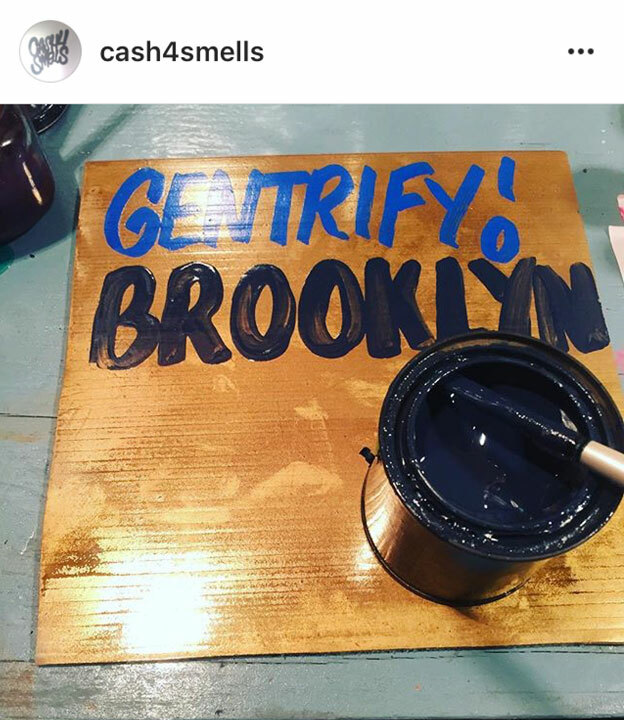 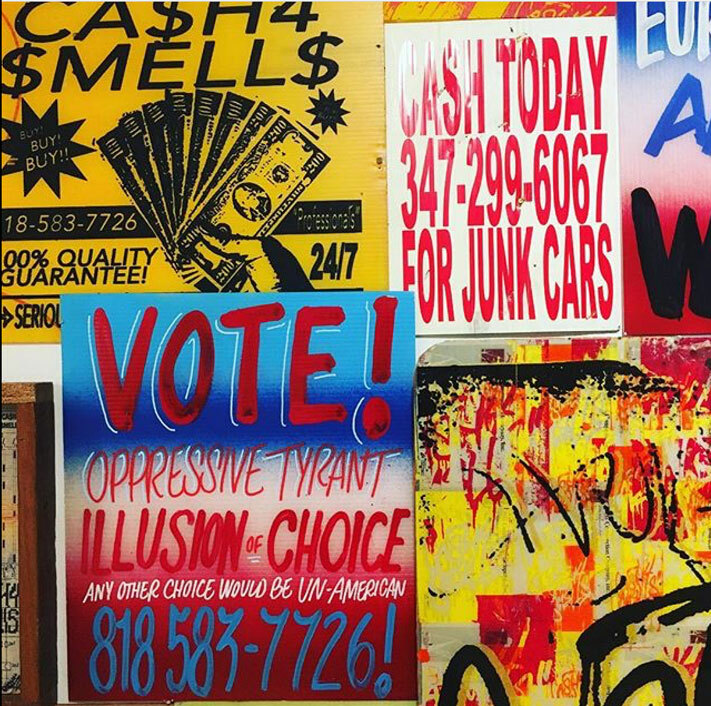 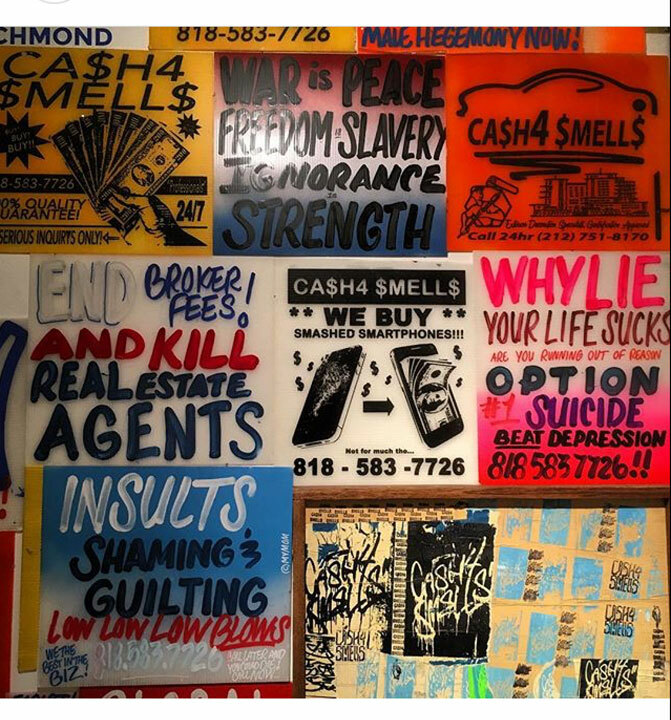 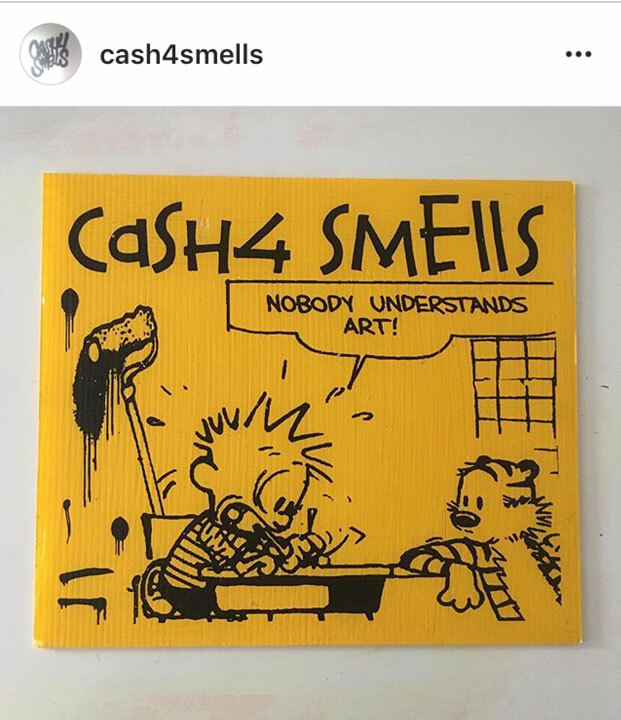 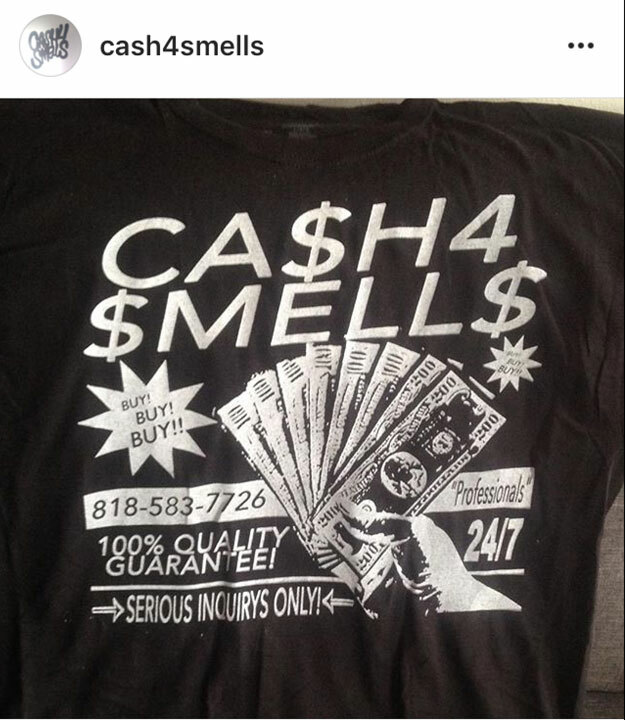 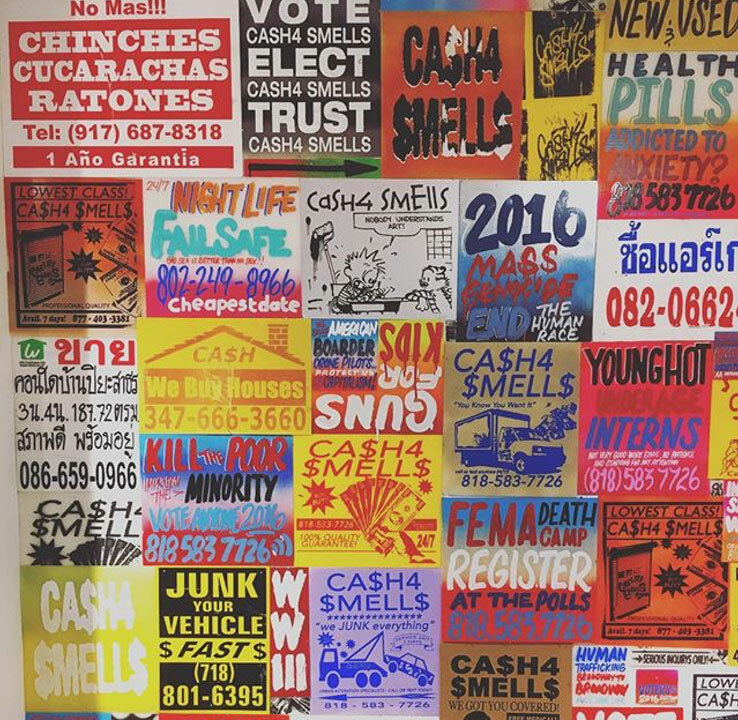 ps: the last time I saw a CASH4SMELLS exhibit, was at DRESS SHOP GALLERY, in Bushwick, BROOKLYN & . .
the ‘vinyl’ signs – were going for $100 a pop.